The 5th most depended upon npm package takes another step forward with full ‘true color’ (24 bit) support, plus an ability to use tagged template literals. Supports logging in with Twitter, Facebook, Google, GitHub and Reddit. Results in two cookies available for your top level domain (and therefore other apps). 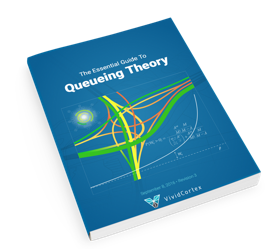 Queueing theory rules everything around you - Whether you’re an entrepreneur, engineer, or manager, queueing theory is one of the best ways to boost performance. This 30-page ebook demystifies the subject without requiring pages full of equations. There are no specific LTS releases but they backport security fixes to npm versions shipping with supported Node versions. A 30 minute interview with NodeSource’s Pravin Halady on “why enterprise developers might need a safer and more secure version of Node.js and npm”. The pros of cons of four different libraries for making HTTP requests. A new way to embed web apps with fewer bugs and more performance. How to use GraphQL, ExpressJS and Mongoose to serve a GraphQL endpoint. This talk explores the two powerful new features of Next.js: static exports and dynamic imports. Visualize custom performance & usage metrics, correlate with 200+ other techs, & set sophisticated alerts. Make the switch to the only MongoDB service from the team that builds MongoDB and we’ll give you 3 months of free usage. Ideal for social media. We tested it here. Written as an Electron app.